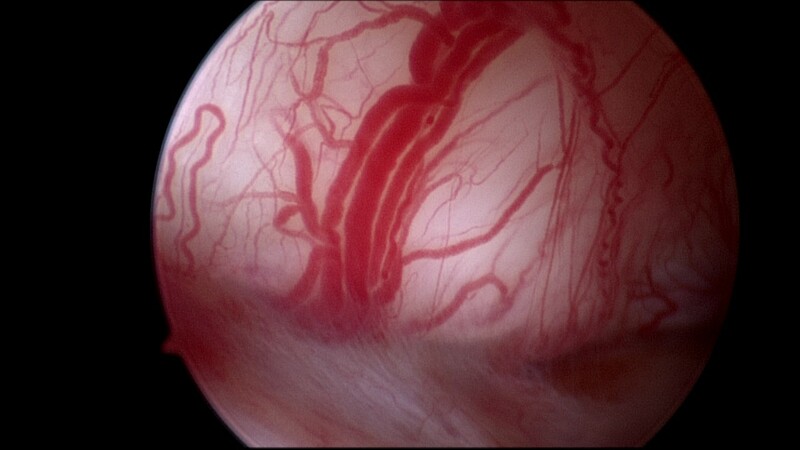 Retrograde menstruation with extra uterine implantation of endometriotic tissue upon the ovarian surface is seen as the most common cause of ovarian endometriotic cyst. Subsequent inflammation, adhesion formation and further invagination of the ovarian cortex give rise to the formation of the endometriotic pseudo-cyst. The presence of ovarian endometriotic cyst results in an impaired ovarian reserve due to fibrosis (Kitajima et al. Fertil Steril. 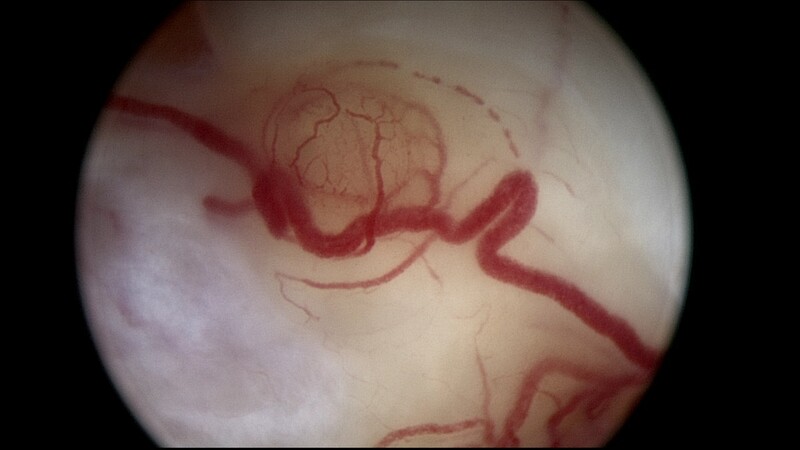 2011 ) and diminished ovarian interstitial vascularization (Jun-Jun Qiu et al. AOGS, 2012). These pathological changes are already present in small endometriotic cysts. It is a cause of early ovarian depletion in young women. Intra-cystic endoscopic images obtained at trans-vaginal laparoscopy shows an omnipresent neo-angiogenesis with inflammatory reaction and presence of active endometriotic tissue, indicating the aggressivity of the disease already in a very early stage (Gordts et al. Gynecol Surg (2014. 11:3–7). In absence of markers of the aggressiveness of the disease, and with the available scientific data, surgical treatment in an early stage in patients with infertility causing a minimal trauma is suggested. 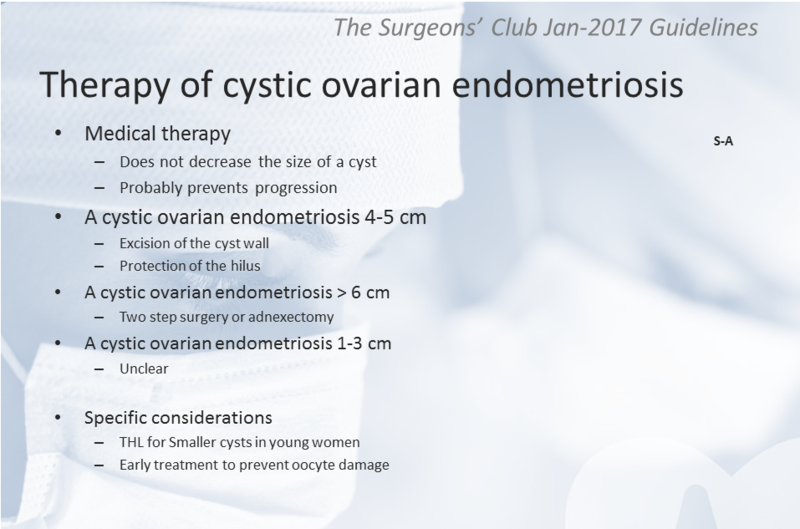 In case of larger endometriotic cyst a combined technique of cystectomy and ablation at the hilus or a surgery in two steps is recommended to minimize the ovarian damage. 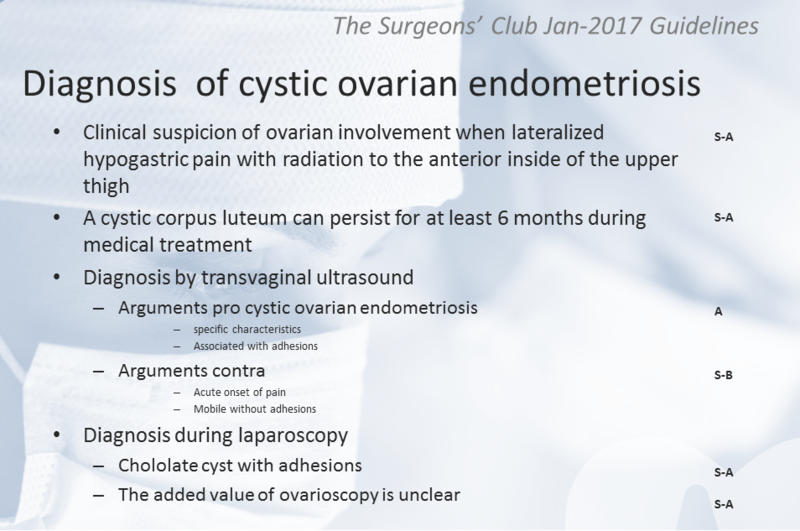 Recent data show a better outcome in terms of ovarian reserve and recurrence rates using an ablative surgical procedure compared to cystectomy (Roman 2016,2015; Muzii 2016). In young patents: use of OC is advisable to stop menstrual bleedings and to decrease pain and slow down the process. 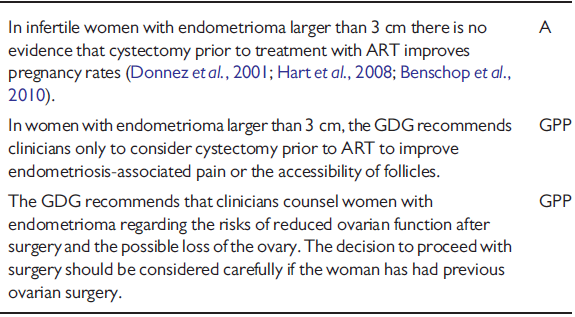 In case of no response and increasing size of endometriotic cysts surgery is indicated. In older patient not wishing to conceive anymore a more radical surgery is recommended. There is no scientific evidence to set a limit of 3cm as a limit for surgical intervention. The mentioned size is related to the accessibility of the ovarian follicles in case of oocyte pick up. 1. Dunselman GA, Vermeulen N, Becker C, Calhaz-Jorge C, D’Hooghe T, De BB et al. 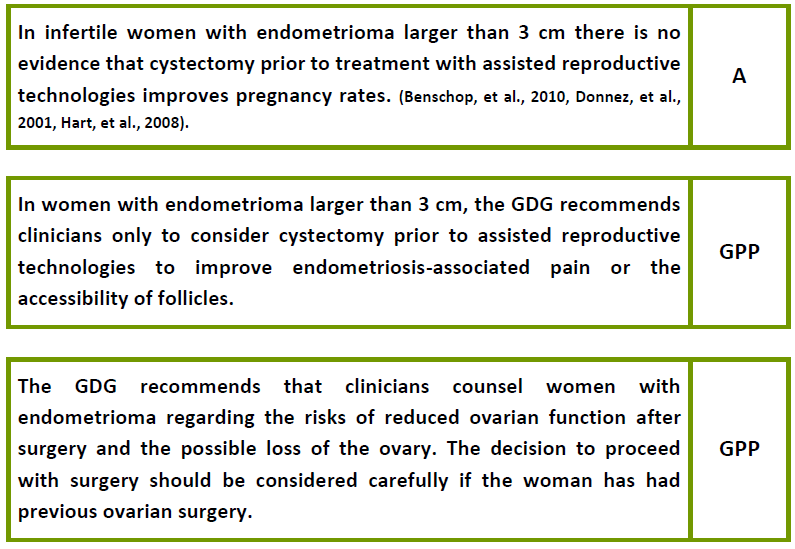 ESHRE guideline: management of women with endometriosis. Hum Reprod. 2014;29:400-412.